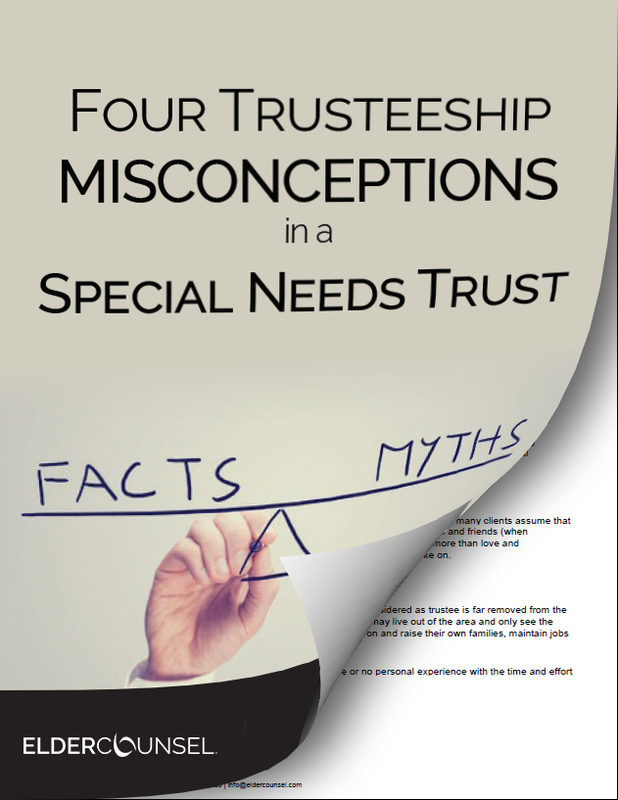 Special Needs Trusts have two primary objectives: Fiduciary management and government benefit eligibility. Special Needs Trusts provide fiduciary management and oversight for individuals who are unable to take direct custody of property, typically as a result of a cognitive limitation, lack of judgment, or susceptibility to financial manipulation. In this way, Special Needs Trusts are similar to other types of discretionary trusts, such as a trust established for a minor or a trust created for a spendthrift who lacks financial discipline. All of these trust arrangements serve to protect trust property through the appointment of someone who will exercise independent judgment in determining how trust property will be used for the beneficiary’s benefit. With regard to government benefit eligibility, preserving eligibility for Medicaid allows the beneficiary to access residential services, home health and personal care services, transportation, and other benefits. And for those who have no other source of income and whose disability leaves them unable to work, the Supplemental Security Income (SSI) program will continue to serve as a primary source of income. Both programs have stringent income and resource limitations. These common misconceptions about trusteeship will help you set expectations of the trustees you work with in your law firm. You'll stay ahead of the game and will be able to clarify expectations and prepare them for their responsibility. Download your free whitepaper now. Special Needs Planning is a growing area of law, and one that we are very committed to. Whether you are new to the area or an advanced practitioner, we can help! ElderCounsel members have access to a document assembly program, ElderDocx®, that generates an expansive group of documents, including: Third party supplemental needs trusts with supporting documents, self-settled special needs trusts including Medicare Set-Aside provisions, various letters to beneficiaries, trustees and government agencies, as well as intake and other supporting documents. Membership also provides hundreds of hours of education regarding special needs planning.